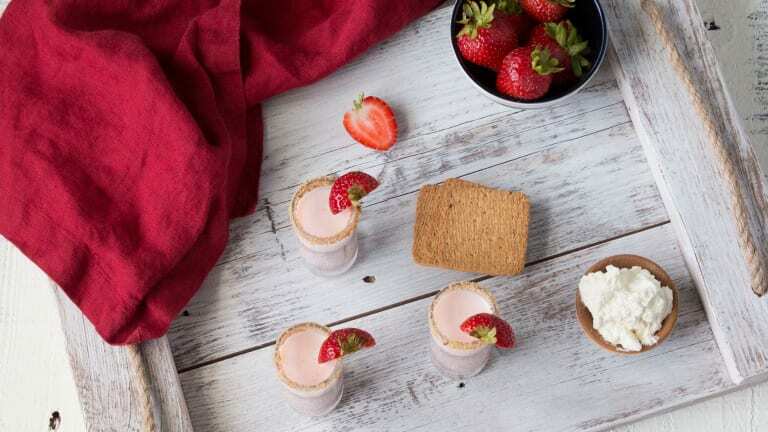 Savor and hold on to the last moments of summer with these creamy and delightful strawberries and cream shooters. 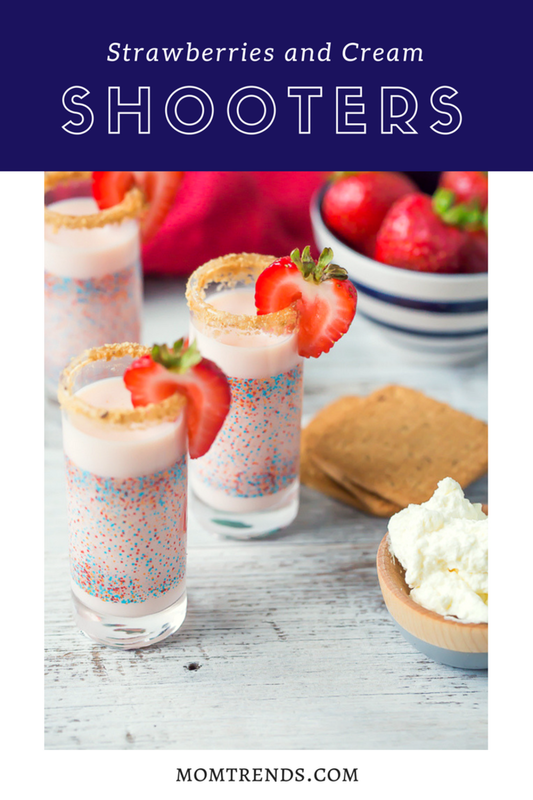 Everyone will love this signature dessert shooter at your Labor Day cookout this weekend. 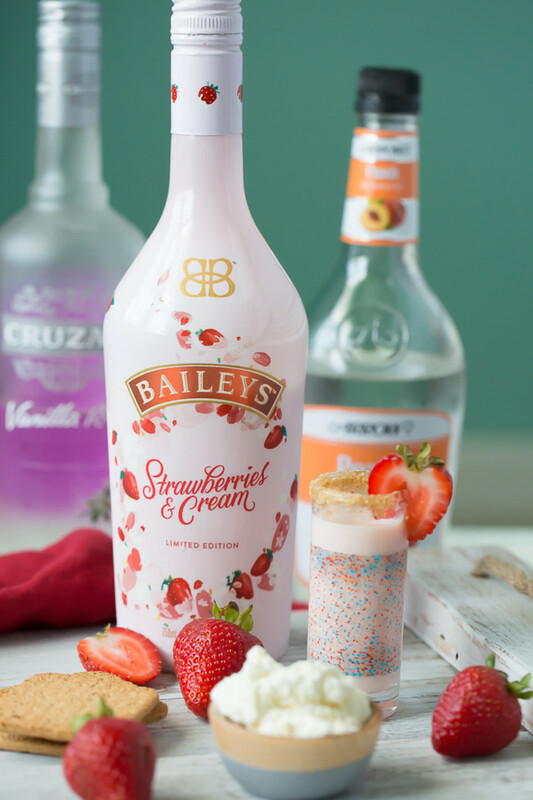 I honestly can&apos;t imagine who wouldn&apos;t adore a round of these lovely shooters that celebrate the classic flavors of summertime. Can you believe after this weekend school will be back in session? Us moms can finally reclaim a bit of freedom. Of course, along with a bit of daytime freedom comes the added evening hustles of extra-curriculars and homework. All the more reason to squeeze every last drop of summer that we can. For me, summer represents slower days spent lounging by the pool and chasing super heroes through the yard. Maybe an ice cream or two as well. Ok, definitely and ice cream. Several days a week if my son has his way. So gather your friends and family one last time this summer, throw something delicious on the grill, and just enjoy what matters most for a few more moments. Create sunny and heartwarming moments that will carry you through the winter. And what better way to celebrate summer coming to an end than with the classic flavors of strawberries, vanilla, whipped cream, and peach? 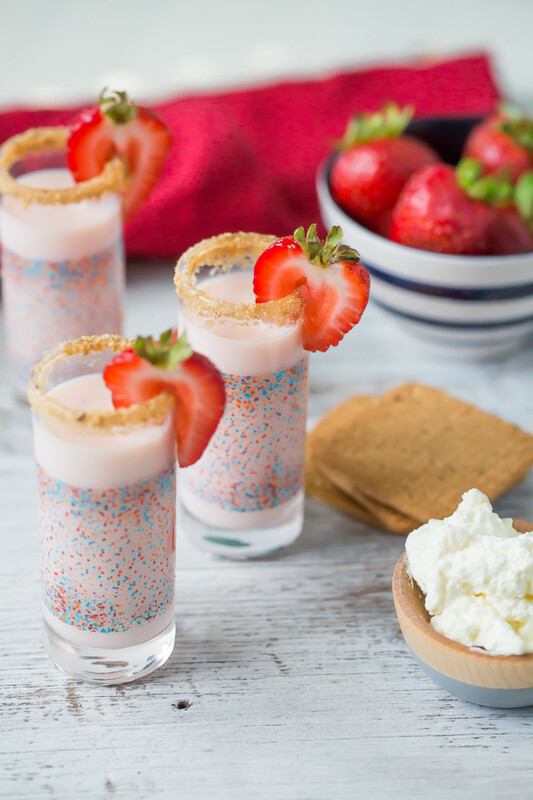 Ready to whip up a batch of these pretty pink shooters? I know I am! Coat the rim of your shooter glasses with graham cracker crumbs. In a cocktail shaker, combine the Bailey&apos;s, rum, and schnapps. Shake with ice and pour into the cocktail glasses. 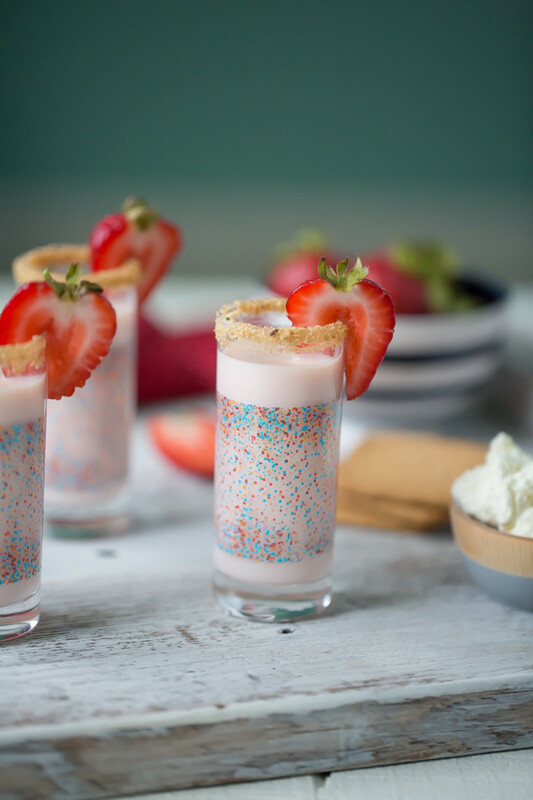 Top with whipped cream, strawberry slices, and/or more graham cracker crumbs. Drink cold and enjoy! Remember, SHARING IS CARING! Also, be sure to check out these other delicious summer drinks as well: Aperol Spritz, Bourbon Peach Thyme Sweet Tea, and Pina Colada.